Yesterday, I came home to a strange magazine sitting on my porch. I have only one subscription and it’s to Martha Stewart’s Living magazine. Who gasped? At one point years ago, I had grand notions about learning the finer points of housekeeping & crafting, but now I just read it once in a while to look at the pretty pictures and laugh at the insanity. There is no way I’m going to bother making my own jam, much less create nifty labels and fancy toppers for said jars of imagined jam. So, I pick up this new magazine and I still have no idea where it came from. I’m stared at the cover of Lucky magazine and Jessica Alba is smiling back at me, like I’m supposed to know what’s she’s selling. I open my mailbox and see another issue of Lucky hiding under the Papa Murphy’s coupons. Seriously, where did these come from? My name and address are on them. There’s no note. There’s no accompanying letter. I assume it’s something to do with BlogHer ’11. Needless to say, I’ve yet to open these publications. They are just decorations on my ottoman. Speaking of, did I mention that I got free vibrators at BlogHer ’11? Any family or squeamish friends (as well as people under 18 whose parents might get bent out of shape) should stop reading right now. Seriously, things get a bit rated R for some after the jump…for others it’s just PG-13. Did I use it wrong? What’s all the hype about? I mean it was pretty good, but I really can’t see myself bothering to drag the thing out again should I need to relieve some tension. Plus, you have to clean it. Thanks for yet another chore. 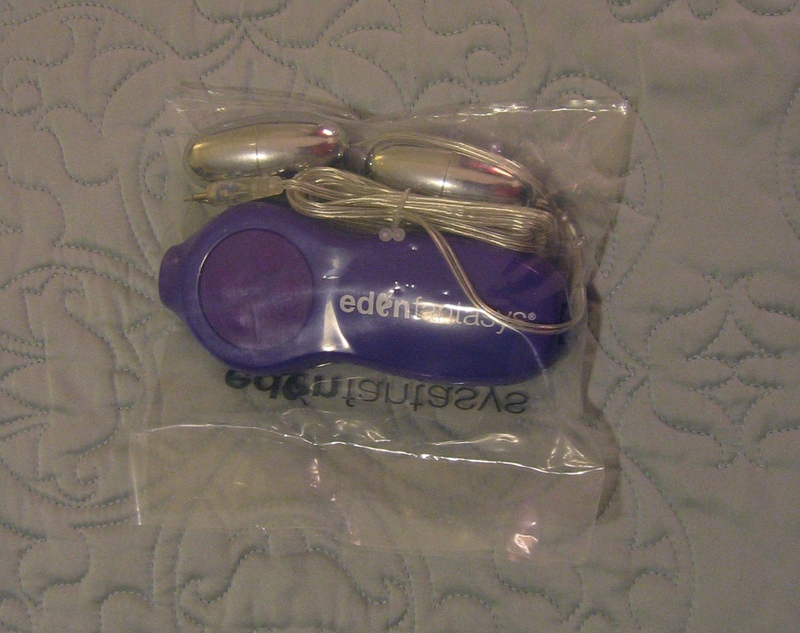 Two of the three vibrators I got…well, they sort of scare me. I mean look at them. The double ended bullet thingy doesn’t entice me. Why are there two? I don’t really want to try and figure that out. Double your pleasure? No thanks. And the purple monstrosity…I might just give that to a friend as a gag gift…pardon the pun. >LOL! Everybody knows the Hitachi Magic Wand and the LELO Elise are the only two "personal massage" products worth anything. Then there's also that thing men have to offer, but you never know what you're gonna get with that. >So, the dual one? DOESN'T HAVE TO STAY DUAL. Looks a little better now, eh? >um………….. thank you for NOT having a giveaway related to this post! >I've yet to use mine, but rumor has it the "double your pleasure" doesn't work. Or was it the other one? >I think this post is a GREAT testimonial for attending BlogHer next year. The phrase "free vibrators" is to women what "free beer" is to a frat boy. >Hilarious! "Thanks for yet another chore" LOL! STILL chuckling at that one . . .